It's cold, snowy, and the Super Bowl is this upcoming weekend. Sounds like the perfect time to make a pot of chili for the big game. No deflated taste here. Lets move to the kitchen and have a look. 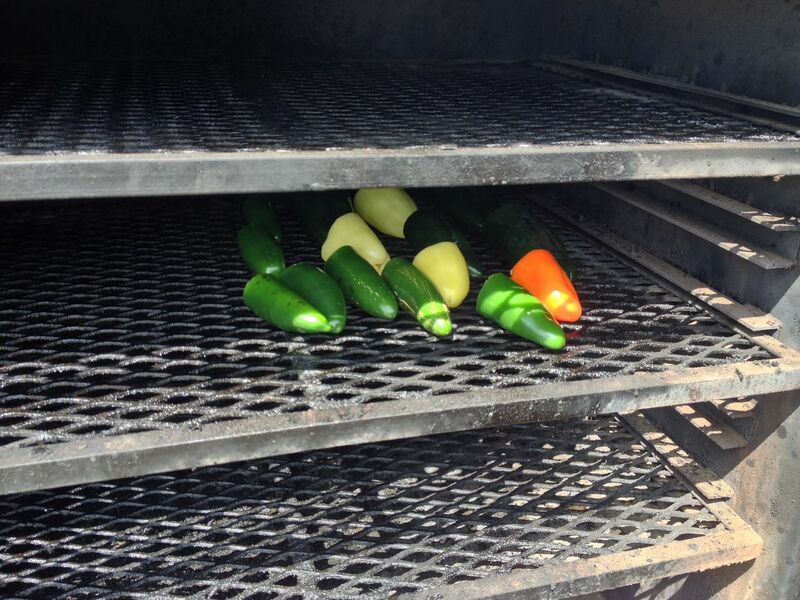 Back when peppers were in season, I fire roasted and smoked some for use over the winter. I decided this was the perfect time to kick up my normal chili recipe a bit. So I grabbed a package of the frozen poblanos from the freezer and add them to this pot of chili. For this batch, I substituted the smoked poblano for the jalapeños. So, grab your dutch oven add your olive oil and heat to brown your ground meat. If I use beef, I drain the fat But, since this batch was made with turkey, draining was not needed. 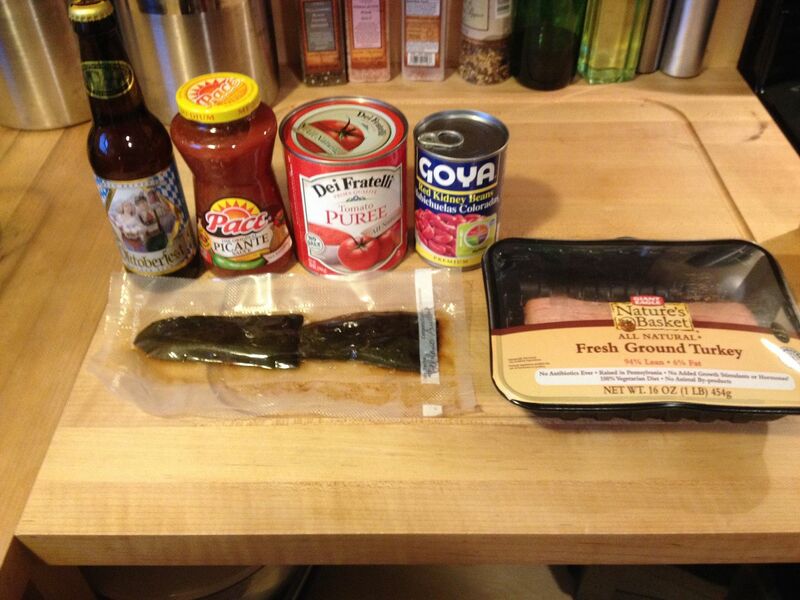 While the turkey was browning, I prepared the rest of my ingredients. 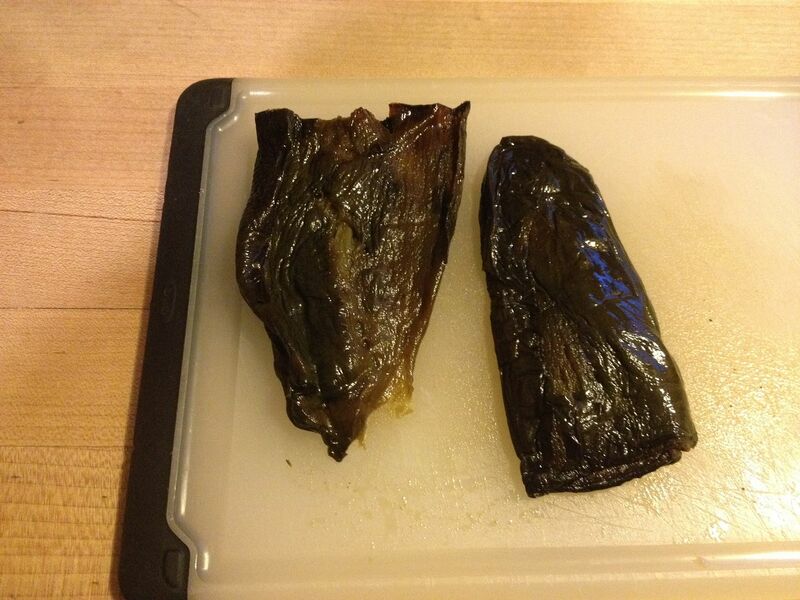 First, I took my poblanos and removed the outer skin. 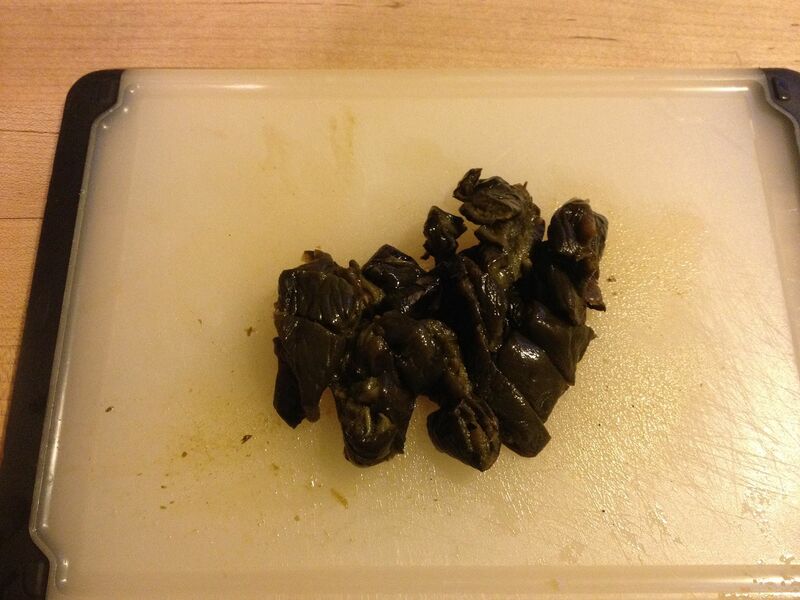 I used to go though the hassle of putting the hot peppers in paper bags to steam off the skin for removal. Chilebrown over at Mad Meat Genius suggested that this was not needed. Just freeze your roasted peppers whole and remove the skins after thawing. Much easier he said. Trust me. Well, he was right. Thanks for the tip Chilebrown. I then diced my onion and pepper, not fine, but a nice rough chop to add some texture to the final product. I also measured out my spices into a bowl. Once the meat was about halfway through the browning process, I added my peppers, onion, and garlic and sautéed until translucent. Then, I added my spices, poblanos and brown sugar and sautéed for about one more minute. Next, all of the wet ingredients go into the pot along with the beer and the water. I used Penn Brewery Oktoberfest for this pot of chili as it was the darkest beer in the house. In my opinion, darker beer is better in chili. Then, bring your pot to a boil and let simmer for at least two hours. This particular batch simmered for about four hours. Crack the lid on the pot so that you can reduce the volume a bit, concentrating the flavors. Stir your pot occasionally as well. 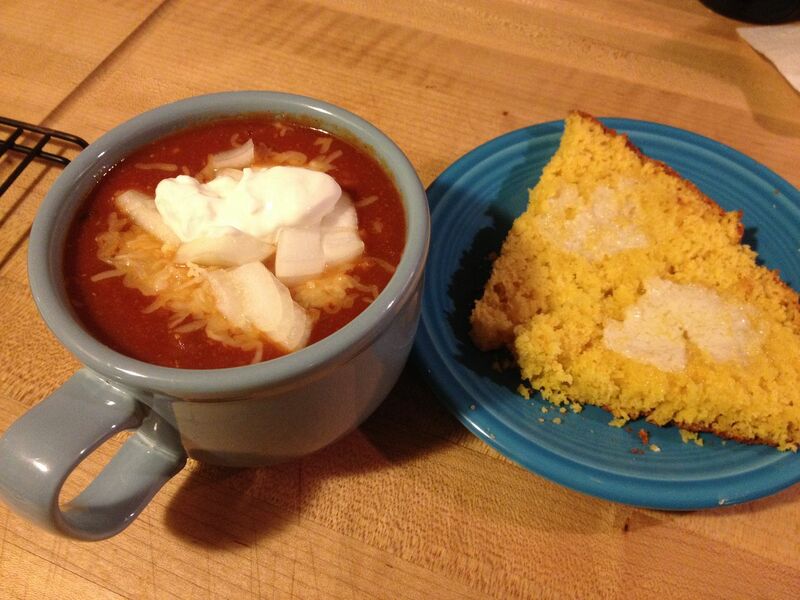 I usually serve my chili with diced sweet onion, four cheese Mexican blend, and a dollop of sour cream on top. I also paired this dinner with a pan of Toasted Cumin Buttermilk Cornbread. 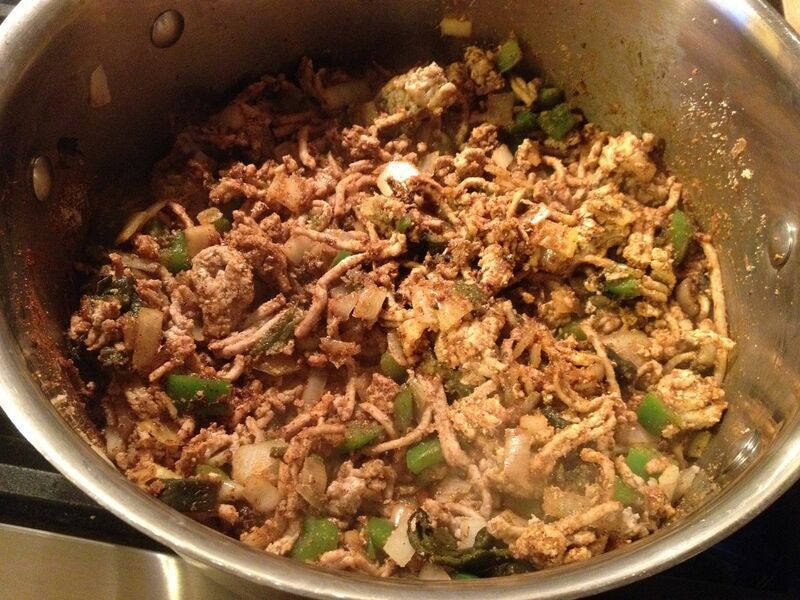 Simple and easy, this is a meal that is perfect for a cold winter night. Tis the season for some comforting chili. Your recipe sounds great. I want to try the cumin on the cornbread too. I hope to make some chili next week from leftover SR Super Bowl brisket..